Variety in our education methods is key to the success of our homeschool. Using quality videos that fit with our religious beliefs are one of our favorite methods for maximizing drive time education, yet DVDs that meet our standards are not always easy to find. However, we've found a reliable source in FishFlix.com, and most recently enjoyed The Gospel of John during our religion study time. First let me tell you a little about FishFlix.com and their mission minded philosophy. The company started originally as a means to sell over the Internet a single movie, Apostle Paul and the Earliest Churches, which deals with the biblical history of Turkey. Soon other Christian movies were being sold and FishFlix.com became the company we know today. Although based in Mora, Minnesota, FishFlix.com has kept to the goal of glorifying God and expanding His kingdom in Turkey by partnering with various ministries. When asked to review from a provided selection of FishFlix.com movies, Amber right away knew she wanted to watch The Gospel of John. While we've always studied God's word at home and attended church on a weekly basis, reaching the final stages of her Lutheran confirmation classes has brought out in Amber a deeper desire to study God's word. 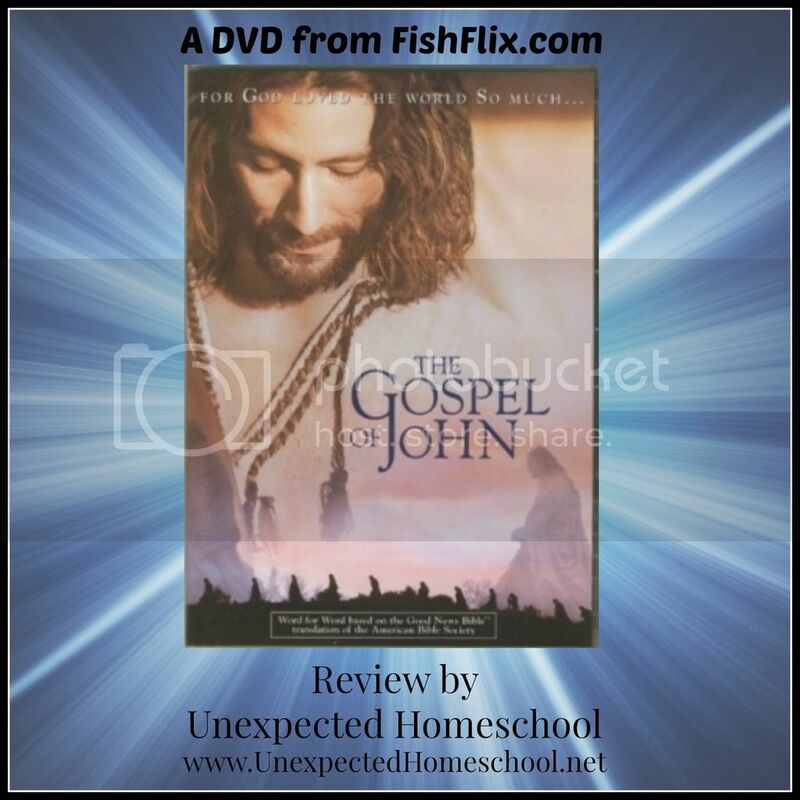 I will tell you honestly that I was a little nervous at first about the The Gospel of John DVD and thus spent a little bit of time researching it before actually putting in our request to review. We are cautious in our use of religious materials and seek to avoid summary or interpretive writings & movies of the Bible. Thankfully, The Gospel of John was exactly what Amber was looking for while remaining faithful to the Biblical text. 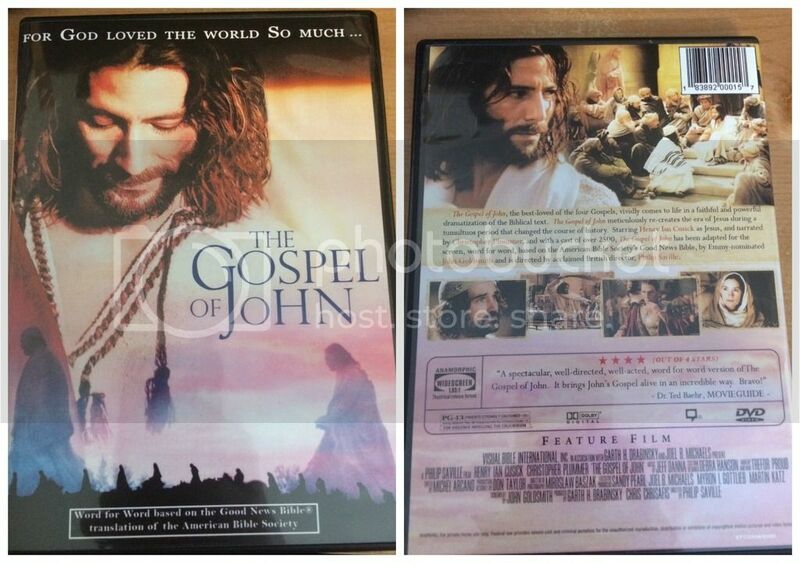 The movie is not a Bible based dramatic story, but a complete reading of the Gospel of John from the Good News Bible. There are both a narrator (Christopher Plummer) who speaks over some scenes depicting the action and actors who speak other lines. The script is not modernized or altered to fit our current ways of speaking, but the word of God as written in John. The DVD is rather long for a single session, at 180 minutes (that's three hours folks), and carries a PG-13 rating. This rating threw me for a loop initially, but then I realized the Bible is not exactly G rated and of course a faithful recitation of just about any book of the Bible would tend towards a similar rating. Our normal pattern for videos of this style would be to set aside time to watch together and discuss. 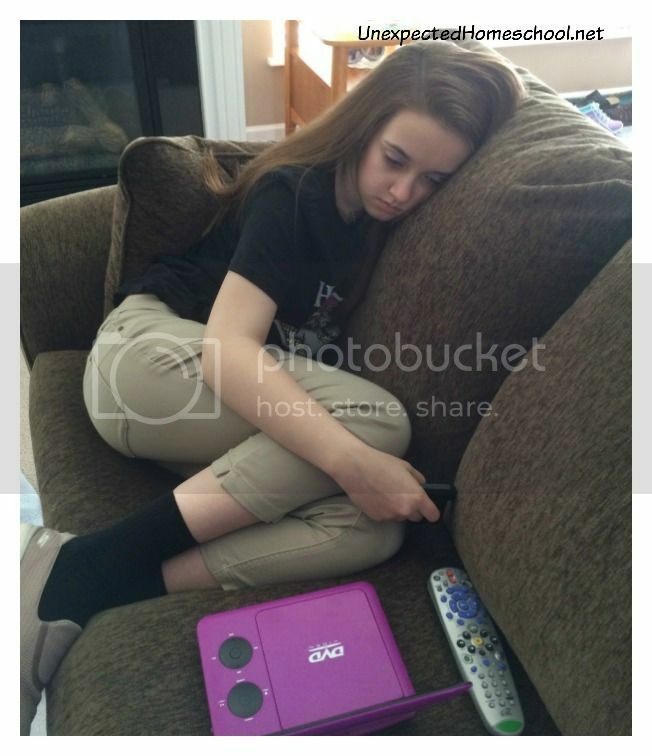 However with The Gospel of John being three hours in length, we decided to view the first portion during dinner one evening when my husband could not be home, and then to use it as our travel DVD during our regular trips to Children's Hospital for Amber's physical therapy. 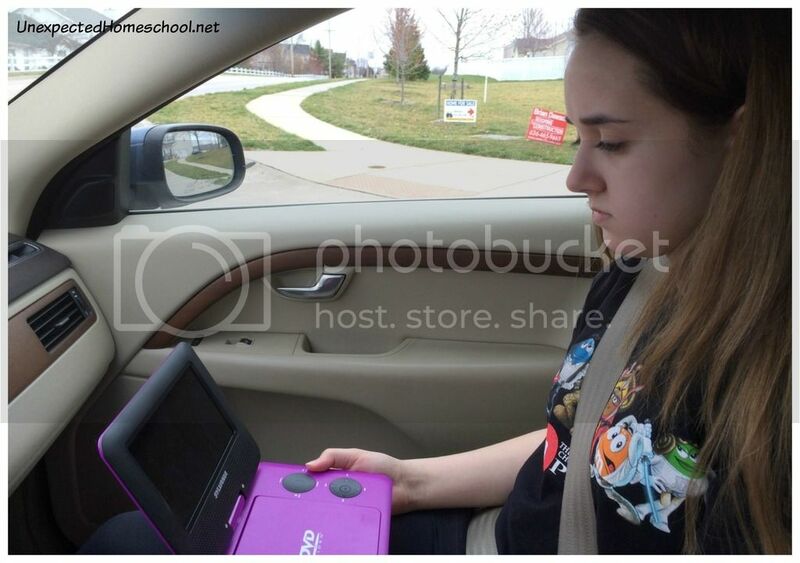 Instead of Amber using her headset with the portable DVD player in the car, she put the volume up as loud as it would go to combat the highway road noise so that I could at least listen if not watch the video with her. Those were some of our most peaceful and enjoyable drives over the past year. We even sat in the parking lot at the hospital watching together during our extra few minutes before Amber's appointment. Finishing the movie after a long day. Most importantly, the message of The Gospel of John stuck with us in ways it had not prior. Just this past Sunday, Palm Sunday, our Gospel readings at church were from John where Jesus and the disciples were visiting Mary, Martha and the recently raised Lazarus. Amber leaned over to me during the service and said, "We just watched this last week. It seems so much more real now." And honestly, it did for me too. They were no longer only words we hear regularly, but I could visualize what was occurring and see details missed before. All from a simple, but powerful visual and audio telling of The Gospel of John. After all my initial concern, I'm glad to be able to recommend this DVD whole-heartedly. Visit other members of the Review Crew to read their impressions of other FishFlix.com DVDs!